Some 81% of moms would buy more from a brand if rewarded, and over 50% are willing to engage with a brand on Facebook and other social media platforms if provided incentive, according to a recent report by PunchTab. What type of rewards do moms want? 80% of those polled said they prefer financial rewards, such free products or gift cards, and 67% said they would be interested in receiving perks associated with elite status, such as free shipping or branded merchandise. Below, key findings from the report, Scoring Points With Mom, which was based on an online survey of 647 moms. 72% would take a survey or poll. 59% would sign up for regular email updates. 41% would share personal details and purchase behavior. 41% would post a review. 57% of would "like" a brand's page on Facebook. 83% of moms polled said they would value free products and services from a brand. 82% would be interested in receiving gift cards from popular retailers. 39% of those polled would value incentives that offered them exclusive access to a brand, such as being able to buy new products ahead of the general public. Gamification strategies were less popular with moms. Only 6% percent would be interested in being rewarded with badges. About the research: The report was based on an online survey of 647 randomly sampled US moms age 18-44. It was conducted between April 18, 2013, and April 22, 2013. COMMENTARY: Mobile mothers in the US are an increasingly important demographic for marketers. According to BSM media, U.S. mums control $2.4 trillion in household purchases every year and wield greater influence over most everyday buying decisions. As avid users of digital media, mums are turning to smartphones to help organize their activities. Their ability to research purchases combined with their spending power gain marketers’ attention and provides a great opportunity for marketers to engage with mums in a personalised and highly interactive environment. These findings are from a report published by InMobi, the largest independent mobile advertising network - the research was developed in partnership with On Device Research. The report - U.S. Mobile Media Consumption Report for Q2 2012 reveals the unique trends on mobile media consumption among US Mobile mothers. Media consumption has evolved, along with smartphone adoption. On average, Mobile mothers are spending 10.1 hours daily with media. Mobile mothers spend 27% (2.7 hours) of daily media time with their mobile phone, which is on par with TV (28%), and outpaces other media like Internet (19%), Radio (14%), and Print (7%). Interestingly mums have started to embrace tablets and spend 6% of their media time there. It is a known fact that mothers multi task across various activities between work, home and family. Research highlights that 77% of mobile mothers use mobile devices while watching TV. It’s no surprise that mums also multitask across a variety of media types including the smartphone, computer and tablet. Marketing takeaway: Mums are connected 24/7 in the mobile media channel and marketers should be creating multiple mobile touch points to leverage the time taken by mums on the mobile media. The demands of mobile mother’s fast-paced life have made her identify herself as an early adopter. Research shows that 48% of mom mobile web users in the US identify themselves as “Early Adopters”. She knows about the latest technologies and expects solutions that integrate apps, ads, and browser tools in smart and effective ways. Mobile & TV ads have the largest impact on mobile mothers’ purchase process, with 62% of them saying their purchases are influenced by both these ads. Also, 58% of mobile mothers are comfortable with mobile ads. Mobile mothers reach to mobile at every stage of the purchase funnel. Right from research, purchases and making smart and informed shopping choices, mobile is always there as her shopping aid. Mobile tools impact her “moment of truth” choices at each stage. The survey showed that 56% of mobile mothers feel that mobile advertising have introduced them to something new; 42% feel that it had saved money and time. 18% of mobile mothers say mobile ads have influenced a purchase. The data also highlights the importance of location-based advertising, with 48% of respondents claiming that a mobile ad had helped them find something nearby while 27% said it had influenced a purchase decision in-store. Marketing take away: Mobile Ads influences mobile mother’s decision process and marketers should engage mums across the purchase funnel mapping her media journey. Mum is a more empowered shopper than ever. Mobile technologies give her tools to research, decide and buy seamlessly saving time, money and stress. Mobile mothers lead the pack in mobile spending, with 30% claiming to spend more than $50 via their mobile devices, compared to 27% of mobile Boomers and 23% of Generation M. InMobi’s research indicates that 80% of mobile mothers planned to conduct m-commerce activities within the next year. InMobi research claims that, with smartphones becoming indispensable entertainment tools and 88% of mobile mothers hooked on Facebook and other social media, it is clear that the current generation mums leverage technology for not only keeping in touch but also pay attention to how they interact with brands online. Marketers should consider campaigns extending across a variety of media platforms and engage mothers across channels and devices. The boost in smartphones sales and the trust in using mobile content increasing every day directly relates to the growth in mobile content sales. Mums who are always connected, brand sensitive, have spending power, and are active on social media, are an important demographic who cannot be ignored. This gives a great opportunity for marketers to understand their needs, build trust and up the conversion rates. The reality is mums have embraced mobile media in a big way. Are the marketers ready? Is your brand reaching out to mums via mobile? 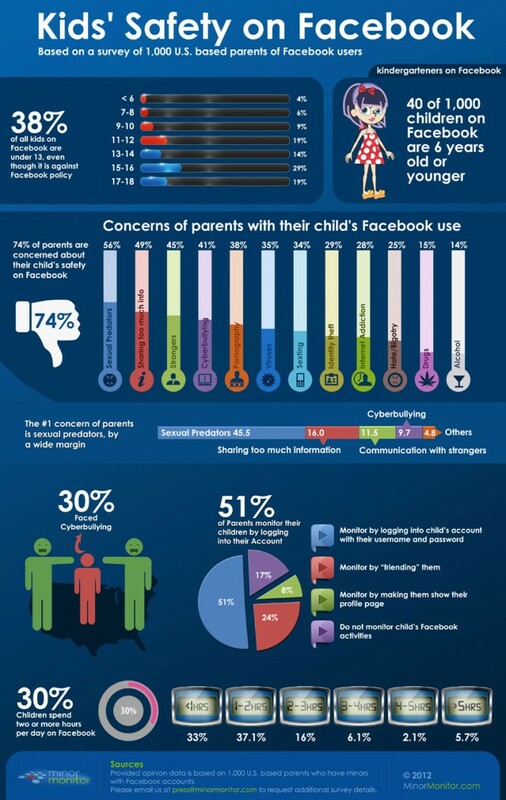 With parental concerns about privacy and predators unlikely to go away anytime soon (and kids’ aversion to being seen with their parents an eternal truth), there is a lot to recommend private social networks intended just for families. Recently two more social networks for families launched: SocialParent and Save The Mom. As its name suggests, SocialParent is a social network app that allows parents to connect with each other to coordinate plans, make recommendations, and share various types of content including photos and video. The apps developers, Reza Raji and Gerry Gutt, emphasize the app’s simplified communication features, which allow users to avoid the clutter of group messaging on Facebook or email lists. These include permanent and temporary groups for close friends and more transient connections (e.g. a summer sports league) respectively. They hope to make money by offering local deals to users based on their activities and interests, and are also considering a “freemium” model, with extra features available to paying subscribers. Save The Mom is an iPhone app, developed by an Italian startup, more tightly focused on the family unit itself, with tools including family to-do lists, personal and shared calendars for appointments and social commitments, photo sharing, and so on. Users can also poll family members (what do you want for dinner?) and send audio text notes to each other, allowing parents to communicate with kids who are still too young to read or write. The app is supported by advertising, with a Condé Nast partnership in Italy. While the name strikes me as a tad sexist -- are we throwing dad under the bus? -- maybe that can be forgiven as an endearing Mediterranean quirk. Or not. Of course these aren’t the first social networks to target families: there’s also eFamily.com (formerly Famiva), FamilyCrossings.com, and MyFamily.com, to name just a few examples. However not all these are free: MyFamily.com charges $29.95 per family group per year, and FamilyCrossings.com has a tiered “freemium” model, including basic free service and a $9.95 per month premium service. COMMENTARY: As an online privacy advocate, I have been very critical of social networks like Facebook, Twitter and LinkedIn for violating our Constitutional rights of privacy time and time again. BTW, all three of these social network giants have been fined, placed on 20-year probation, and now require annual privacy audits by the Federal Trade Commission (FTC). Social networks are a "freemium" busness (they don't charge users) and they don't make anything, so YOU are the product. You represent the target market or eyeballs for brand marketers selling products and services online. Users willingly giveup a lot of privacy from the moment they signup to become a member of a social network, and the volume of information about you increases exponentially over time as you post things about yourself (or others) on these social networks and click those ever popular "Like," "Retweet," and "+1" buttons. Have you Facebook-friended your mom yet? Even if you haven’t, you probably have more than a few connections on the social network with little ones of their own, using the site as a way to communicate, stay in touch with families and exchange information about parenting, among other things. Facebook, of course, is not the only social networking site moms use. Overall, 26.5 million mothers with kids in the home use social networks at least once per month, or 79.2% of online moms. This compares to 63.7% of internet users overall. These estimates mean that as of 2011, moms will make up 17.9% of all US social network users and 17.4% of Facebook users. But the high rates of penetration reached in this group mean growth will be relatively slow, and moms will actually lose share on the sites over time. By 2013, eMarketer estimates, 16.1% of US Facebook users will be moms with children in the home, while 17.1% of all US social network users will be mothers. COMMENTARY: Facebook is the place to go if you want to target moms. Charged with teaching a dozen 7-year-old little league players the finer points of baseball, David Jacobs and Steven Lerner decided to start with a simple warm-up. They explained that they would yell out the name of a base, and the kids would run to it. When they started with “second base,” however, children scattered to four different bases. Several little league practices and bus-stop discussions later, Jacobs and Lerner decided to fill the need they had discovered for a compelling way to teach kids about sports. What they came up with, FunGoPlay, combines an online sports game world with physical sporting equipment that registers physical play and rewards it with special access codes. The “online sports theme park” will launch this Spring. The model hits a sweet spot on several levels. Almost 20% of children in the United States are obese, and video games — an increasingly favored activity — have long been blamed for increasing this percentage. Paradoxically, at the same time, childhood participation in sports is at an all-time high. If FunGoPlay catches on, it will be both a video game that effectively encourages outdoor, active play and a way to teach sports basics that is compelling to young children — both factors that are likely to entice parents to open their wallets. When Jacobs and Lerner first had the idea, they took a trip to the sports section of Barnes and Noble to check out their competition for teaching kids between 6 and 11 years old about sports. They didn’t really find any competition. “It’s a huge business to teach coaches how to coach, but there was nothing that really spoke to kids,” Lerner says. In order to create that appeal, the team went to work on a “sports theme park.” The park has multiple games involving soccer, basketball, baseball, and extreme sports that are populated by a cast of 15 characters. One of the co-founders, Fabian Nicieza, has a rich background in comic books that includes writing every major character in the Marvel Universe. Presumably, his storytelling capability will help build a narrative that runs through the games. The games will also be tied together by a unified reward system, and a customizable locker or club house. Virtual worlds for children have long been identified as a ripe business opportunity. Disney’s Club Penguin (a $700 million purchase), Mattel’s BarbieGirls.com, and SecretBuilders are among the most successful. What distinguishes FunGoPlay’s game from these sites is its physical component. When parents buy a subscription to the online sports theme park, they’ll be able to pick out the physical sporting equipment to accompany it. When kids play with it, a screen on the ball or Frisbee will give them access codes that they can use to unlock special features in the game. If you were to put together a dream team for digital children’s entertainment, it would look a lot like FunGoPlay. Huge players like Nickelodeon, Disney, Sesame Workshop, and Marvel are all well represented in team members’ resumes. But will the dream team make a dream product? The company isn’t the first to run with the idea of merging online and offline play. Anyone who knows a child under the age of 12 has likely heard of Webkinz — stuffed animals with avatar components that live on the company’s website. Ganz Corporation, which manufactures the stuffed animals, is privately held and doesn’t release sales data. But the site had about six million unique visitors per month at its peak in 2007. Post-craze, however, compete.com now puts Webkinz.com traffic at about 3 million unique visitors every month — still an impressive amount, but a line that goes in the wrong direction. In order to become an integral component of children’s sports education, FunGoPlay will need to prove that its smart soccer balls and frisbees are more than just gimmicks. The plan is to market the physical components as sporting equipment rather than toys, and this plan is reflected in the company’s choice of manufacturer and distributor, EB Brands, which has a reputation for the former. But no matter how FunGoPlay is marketed, kids — needless to say an unpredictable group (remember Tickle Me Elmo?) — will eventually decide how seriously to take both FunGoPlay’s physical equipment and online world. COMMENTARY: I have coached Little League teams kids under 12, and I can't describe just how frustrating it is to teach kids between 6 to 11 years of age, the basics of that sport. I assume that the problem exists for all sports, and the fact that the folks at FunGoPlay found a market need, should help the kids learn the proper way to play each sport. Don't get me wrong, the parents do the best they can, making it a fun activity for the kids, but only have time to do this on weekends. Sometimes parents can get carried away. I ran into this sort of thing myself, with many parents becoming too emotionally involved with winning, rather than focusing on teaching their kids, proper social development skills, teamwork and respect for others. It's not always about winning. I cam remember after a big loss, many parents hissed because we lost by huge scores, sometimes the opposing team scored too many runs in one inning. I can understand the disappointment of the parents, yet the kids, in spite of the losses, looked at it as fun, and forgot that loss five minutes after the game ended. It's incredible what a post-game pizza party can do for tween kids. I have a feeling that FunGoPlay, a catchy name if there ever was, is going to be successful, but the parents need to become involved and supervise their kids, and become involved with them as they play their sport in the real world. I do love FunGoPlay's comic book characters. The managment team has the experience and this is a big plus. FunGoPlay definitely fills a void in the marketplace, and playing the online games gets the parents involved with their kids, and away from that TV for a change, which is one of the reasons why kids are so overweight. And the overweight problem continues right through high school. Some of the problems that I see with FunGoPlay is that not all families have the time, and many households do not own a computer or have access to broadband. This is especially true of some minorities like Afro-Americans and Hispanics. This article was passed on to me by a VC friend of mine. Just as soon as I have the time, I will go online and see how well kids actually learn the sports they play online.